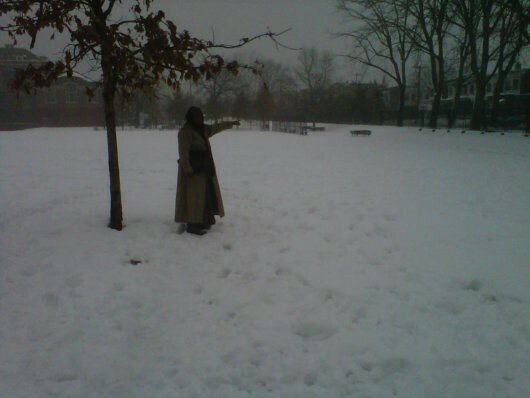 Sister Alia Walker, Director of the Earth’s Keepers of Philadelphia, surveys the land that will be a gorgeous community garden this summer. In the dead of winder it’s hard to see the beauty that will come on this land. Starting in March, we will host a team of teen urban gardeners from vulnerable neighborhoods in Philadelphia. The Earth’s Keepers will cultivate this plot. They will nurture, tend, harvest, clean, package, and sell vegetables, all the while learning entrepreneurship, nutrition and cooking and become advocates for food justice. 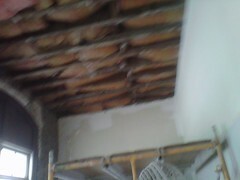 The ceiling of our future office at the Kingsessing Recreation Center in Southwest Philadelphia is under repair. The office is being rehabilitated for future use. Our new garden will be on the same property as our offices. Last year, we ran the garden at Aspen Farms in West Philadelphia. Post by Sister Alia Walker and Sister Safiyah Abdul’Latif.